This is in another thread.But here it is. I may change the guard colour. 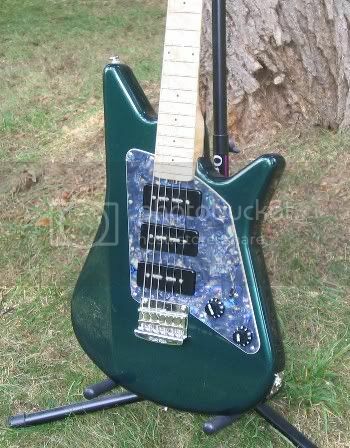 Cost me and arm and a leg, was a 2004 NAMM show guitar, actually going to sell it soon so I can buy a Music Man and have some cash leftover to pay off my debt lol. Here are all my babies. Included is the JP-7 Blue Dawn I recently got. Here's my EBMM Van Halen. The pics don't do it justice, but this thing has the most unbelievable piece of Birdseye I have ever seen. And I don't mean that in a braggins a**hole way. For my official pics page. Last edited by mbgreene; 10-03-2004 at 10:43 AM. Here's a photo of my EVH. I bought it new in '93. Last edited by Eilif; 08-23-2007 at 01:21 AM. Reason: Moved photo to a new server. Oops. Guess I'm supposed to post pics in here. Here's my first EB Axis and definitely not the last. Sorry don't have these pics on a global url, so I have to attach them for now. Ok, just uploaded the high res ones. I just bought this axis in a shop in Rome, Italy. here one of many of my new EVH!!!! I'm trying to get some pics of my EVH up here for everyone to checkout! i hope this works! OK, I finally got around to taking some shots of my Axis Sport last night (not overly good ones i might add.) they're too big to upload here so I've made up a quick page and attached it to my company website. Here's hoping it works. 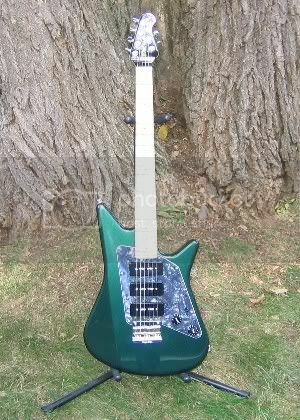 Here's my Axis Super Sport in Pacific Blue Burst, Rosewood fingerboard, bought new in 2003 October ! 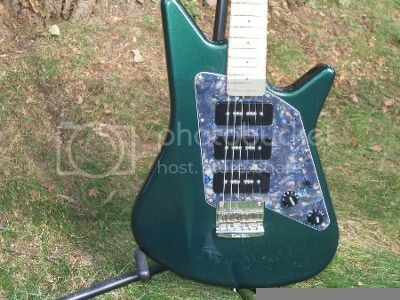 Near the binding the blue is very dark, and comes to a kind of green water between the 2 pickups, too bad the photo don't show it well, the top is awesome, it's a standard top, so, i was very lucky !! !